My work as a live interpreter at Bodiam Castle was mentioned in an article in Sussex Life magazine recently. In other news the new outfit for Sir Edward Dallingridge has arrived (see left) and I’ve tried it out on a couple of occasions. It is a magnificent piece of work by Black Swan Designs. We now need to find accessories and shoes that will do it justice. It’s been an extraordinarily busy last few months – hence the lack of recent posts. I’ll write more if things quieten down. UPDATED 8/1/14: The script has now been published (ISBN: 978-1-291-62773-2) and is available from from lulu, Amazon and possibly from other booksellers. I’m planning to publish the script of my 2005 play Upside Down and Back to Front as a book in the near future. I’ve sent off for a proof copy and this is the cover I’m thinking of using. 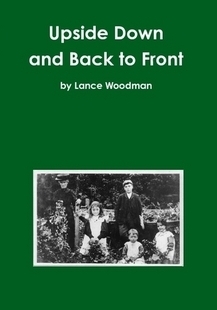 The play tells the story of a photographer travelling around Worcestershire in 1913 and the present-day story of a batch of pictures being found in an attic. It has loads of characters, which means the cast of three have to work really hard! The play was commissioned and produced by artworcs at the Number 8 Community Arts Centre in Pershore. It was fun to do. The cover image features my Gran in the hop yards when she was a girl. It’s been a tough couple of days at work. At the weekend Bodiam ran an All Souls evening event called The Red Lady – a kind of adventure game / theatre piece. I was the audience’s guide as they strove to solve a series of riddles. It was great fun and wonderful to be working in the castle after dark. The Sunday night late show was a pretty damp affair, though the worst of the wind and rain was only really winding up as the show finished. It was a pretty frightening drive home. A great deal of credit to producer Laura, writer Simon, the cast (including the Heathcliff Heroics contingent) and the guys from the Premises team who set up the lights to make it possible. Do look out to see if the event is repeated in Bodiam’s 2014 calendar. A visitor to the castle – Jim Barker – sent me some pictures of me in action as William the Forester. I have very few pictures of me at work and I really like these. These pictures are displayed with Jim’s permission. Click on an image to see the gallery. Bodiam Castle Bits is a series of posts looking at details of the castle that may have passed you by. Bodiam Castle is a NT property in East Sussex, England. Apologies – It has been a long time since the last post but the winter season at work will allow a bit more time to re-engage with blogging, though probably not as regularly as before. 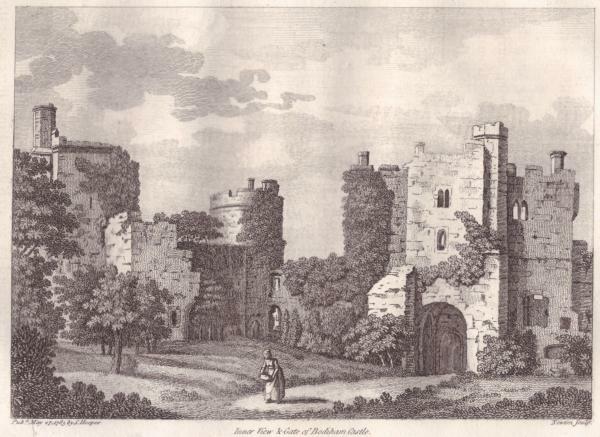 During the summer I managed to buy a couple of eighteenth century prints of the castle from eBay. This one shows the castle courtyard looking north towards the main gatehouse. The seller described it as “A plate taken from Francis Grose’s Antiquities of England and Wales. London Printed for Hooper & Wigstead, 212 High Holborn facing Southampton Street, Bloomsbury Square. Published 27th May 1785 by S Hooper”. This would be the era of Webster ownership. I suspect the original image dates from a few years earlier. It’s a good impression of the castle – fascinating to see the trees, bushes and ivy which were only eventually cleared by Lord Curzon after 1917. The earth seems to pile up against the wall on the left (west). 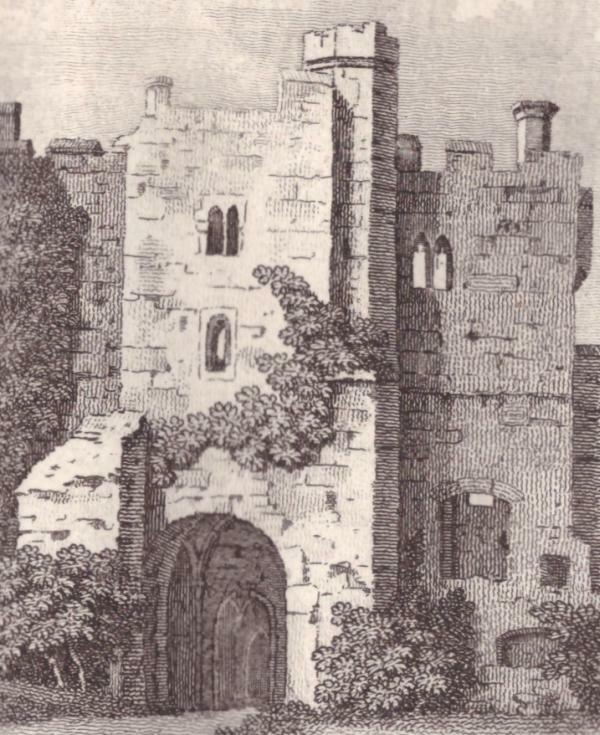 The reason I’m interested in the image, however, is its depiction of the gatehouse. I know that it is not a photograph and cannot be read as fact, but it is not just an artist’s impression either. At the very least it begs some questions. The crenelations have been restored and a couple of chimney pots have gone but the images (taken from slightly different angles) line up pretty well. The proportions inside the arch seem a bit awry but the rest is pretty good. The gatehouse’s stair turrets are rather odd. The main turret which goes from ground level to the summit is set in the first (further) bay and is largely the same in both images. The shorter turret butts up against the main turret but only goes to the first level above the second (nearer) bay. 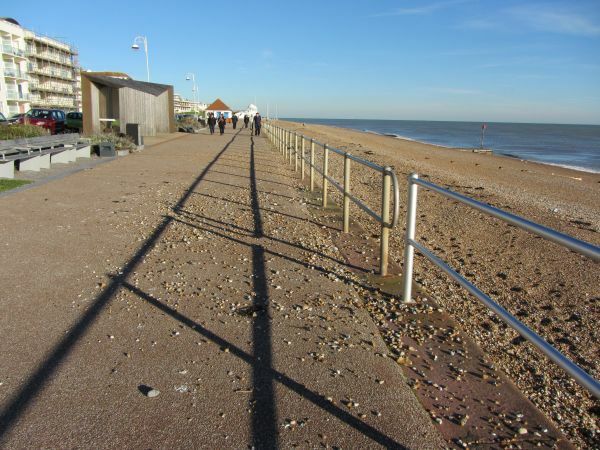 The second bay was added late in the building process and is of a poorer quality of construction. The second stair turret seems to be a late addition to the design and blocks some of the lights to the main turret necessitating the construction of through lights. The photograph shows that this second turret is now ruined. The first few steps are visible (one of only two staircases in the castle that turn anticlockwise) but are cut in half by a large buttress (19th or early 20th century?) added to support the second bay. The 1785 engraving shows this turret still intact. It has a flat top and only goes as far as the platform above the second bay. No door is visible from the courtyard. The remaining stairs do not start until a few feet above ground level so it might be that access was from the chambers on the ground floor of the east side of the north range. There are no lights shown in the face of the turret, so it is not clear how daylight could have got to the through light in the photograph. The other major difference between the two images is a large buttress projecting from the left hand side of the arch into the courtyard. I can see no evidence of this in the photograph or in situ. Was this an early repair since removed? Of course, all of these ‘differences’ may be the result of the engraver misinterpreting or simplifying an original watercolour made by an artist who felt at liberty to ‘improve’ the original to make it more picturesque. I hope to find time this winter to look through some archive photographs of the castle taken in the early twentieth century. Maybe there will be a few more clues there. This summer has been very busy indeed. During one period I worked 46 days in a row with only one day off. I’m going to be taking it a bit easier in September. 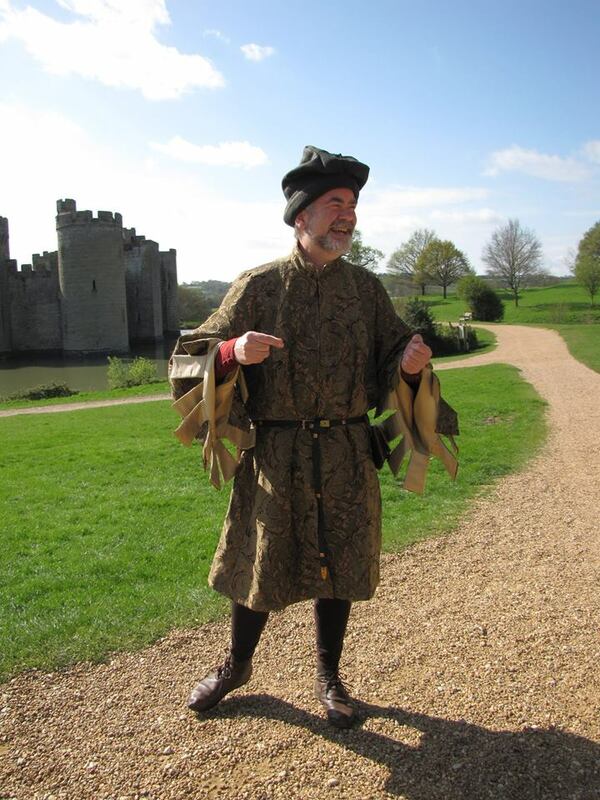 I have started working as a freelance live interpreter in addition to my ‘day job’ at Bodiam Castle. I applied to top live interpretation Past Pleasures at the start of the year and, after a series of interviews and workshops, was added to their large team of live interpreters. I have been working at Dover Castle and the Banqueting House in Whitehall, London for PP. 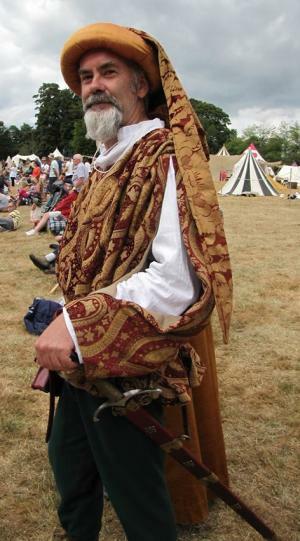 At Dover I’ve been Ranulf de Glanvill, Chief Justiciar of Henry II, William de Hommet, Constable of the King’s Household and Wulfheard the Saxon armourer. 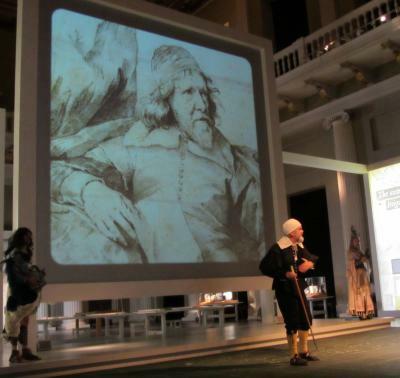 At the Banqueting House I was one of PP’s Inigo Jones in a project about the Stuart masques which involved performing in front of a 7 metre high animation screen. It was a bit nerve-racking at first, but by the last of my shifts I was really enjoying it. It has been great to work as part of a team of talented live interpreters and at some beautiful sites. Of course, as soon as I found extra work an opportunity came up at Bodiam to work extra hours there. I even got to ‘be’ Sir Edward Dallingridge for a couple of days. After two lean years it has been great to be earning enough to get by on again, but I don’t think I could work another summer like this. 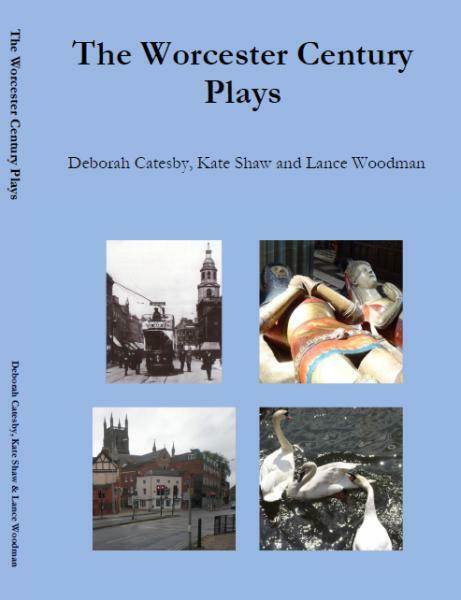 We have published the text of the 2001 Worcester Century Plays as a book. The ISBN is 978-1-291-36856-7 and it is available from Amazon and from Lulu. My contributions to the Century Plays were my first professional commissions. The whole project was a delight to be involved in. I enjoyed working as part of a writing team. The size of the company (7 professional actors and 25 community actors) set all sorts of interesting challenges to be sorted out. 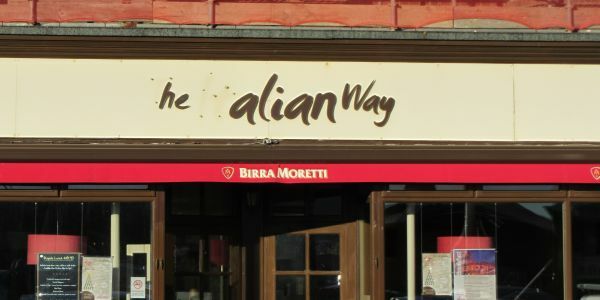 The plays were commissioned by Worcester Theatre Company in association with Swan Playwrights. The first performances were at Worcester Swan Theatre on 7-28 April 2001. Jenny Stephens and Kim Greengrass directed. Apologies for the lack of posts recently. After a couple of lean years I am suddenly working much more and time is at a premium. However, much of the new work is seasonal and I hope to be blogging regularly later in the year. My youth theatre play ‘now‘ will get another production. It will be directed by the original director Mel Lewis for her youth theatre company Tremor. The performance will be part of the Worcestershire Theatre Festival at The Norbury Theatre, Droitwich on Saturday 6th April. Looking at the Tremor site, it might also be having a run on 23rd March at Bishop Perowne College on 23rd March as well. Good luck to Mel and the company. This will be the sixth production of ‘now‘ making it easily my most performed play. The script is available in Three Plays for Youth Theatre which is currently discounted on Amazon (just sayin’). There are, I am assured, thirty three fireplaces at the Castle. They vary in size from the 13′ (4m) wide kitchen fires to small fireplaces in the tower rooms. When the Castle was in full occupancy they would have consumed enormous amounts of firewood. Somewhere on site would have been a substantially sized wood store. Firewood was a major ‘crop’ from the woods of the Weald. There are records of firewood being shipped from Bodiam to the continent during the time of the Castle’s builder, Sir Edward Dallingridge. The plumbing of the chimneys is sophisticated. Where fireplaces are one above the other the flues run one behind the other. In the photo (L) you can just make out the two chimney pots in line. This is an impressive feat of design and execution. You can look up some of the chimneys to see the sky. This is particularly easy in the kitchen’s ‘pottage’ fire (the ‘roasting’ fire on the outer wall’s chimney has been capped) and the fireplaces in the controversially named ‘retainers’ kitchen’ in the West range. 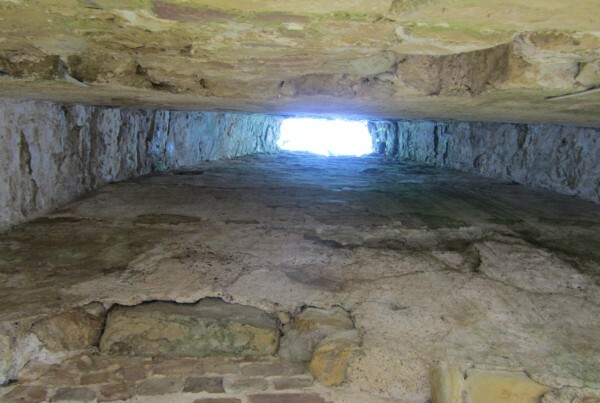 If you’re looking up the chimneys of some of the smaller fireplaces in the towers, do watch your head. I speak from experience on this matter. Many of the chimney stacks have disappeared but there are still a few to be seen. There are good examples on the North and East ranges. The stack on the accessible North range battlements has gone, but this does give you the opportunity to look down the chimney flue towards the fireplace. Mark Lower (1871) described the chimneys as octagonal, over 9′ tall and in the late perpendicular style. He suggested that they may originally have been topped with crenelations but, he says, these decorations had eroded away. I’m not entirely convinced by that suggestion but it is difficult to get close enough to the remaining stacks to make a judgement. He also suggested that the chimney stacks may have been added later, perhaps feeling that they were too advanced in style for 1385. They do have a Tudor feel about them, though rendered in stone rather than brick. The later date seems unlikely. 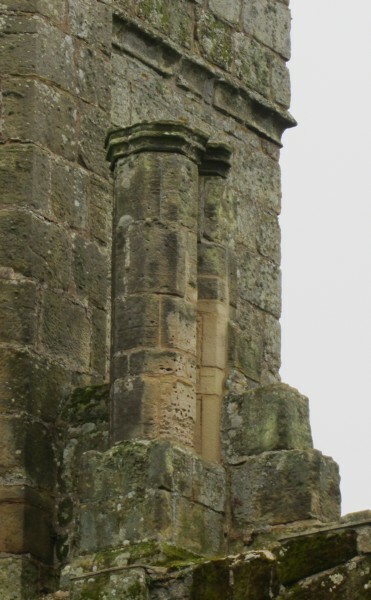 A close up of the east range stacks against the tower (below) shows how the moulding at the top of the chimney echoes the form of the moulding on the tower itself. It also shows similarities to the remaining moulding in the SW corner of the courtyard. They do feel ‘of a piece’ with the design of the castle. Agree? Disagree? Feel free to comment or get in touch. 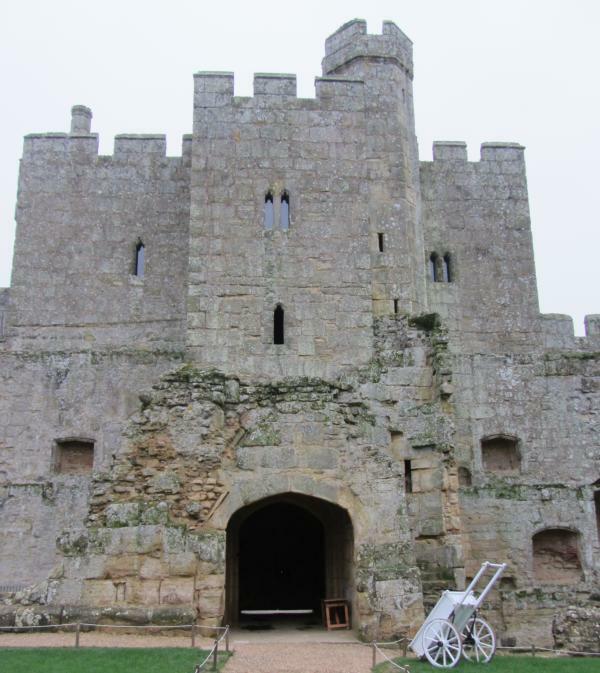 Do you know of any bits of Bodiam Castle that might be missed by most people? Do let me know if you do and I’ll try and include them.